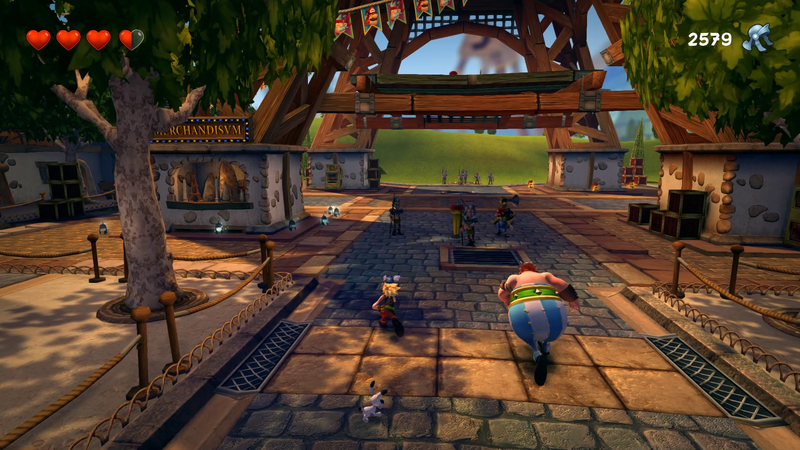 Action-adventure game Asterix & Obelix XXL2 will be getting a remaster for the PlayStation 4. For people who love the series, there will be two special editions to choose from, and each one brings a wealth of new content. If you want to get your hands on an Asterix & Obelix XXL2 special edition, you will have two options to choose from. The limited edition will come with three figurines of the game’s heroes: Asterix, Obelix, and Dogmatix. There will also be a collector’s edition, which comes with a 15cm resin figure of Asterix, a child-sized t-shirt, and two lithographs. A new store system that changes and adds upgrades compared with the original game. These stores are located in the six game environments and allow players to increase their skills thanks to new techniques, combos and Furies. This system is similar to a conventional skills tree. The bronze rank is easily accessible and is a good way to earn money but reaching the Gold rank is a real challenge. Asterix & Obelix XXL2 will release on November 29, 2018 for the PlayStation 4, Xbox One, and Nintendo Switch.